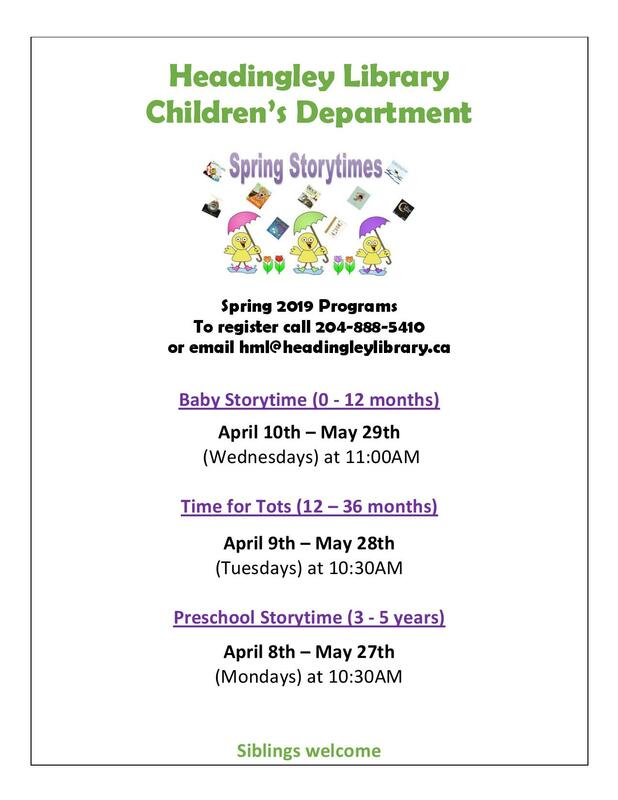 Our 2019 Spring Storytime sessions will run from April 8th until May 29th. We have programs for babies (ages 0-12 months), tots (ages 12-36 months), and preschoolers (ages 3-5). Please call 204-888-5410 or email hml@headingleylibrary.ca to register your child today.